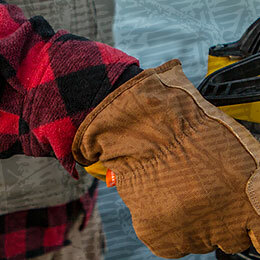 Men's Treeline Jacket is rated 4.8 out of 5 by 90. 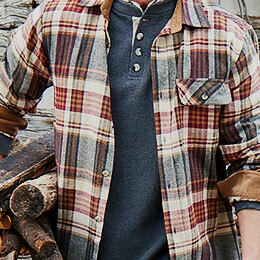 Waxed cotton has a rich, rugged look that's right at home in the Great Outdoors. The water resistance is just an added bonus to keep you looking and feeling good all day. Thick, soft, and remarkably warm. 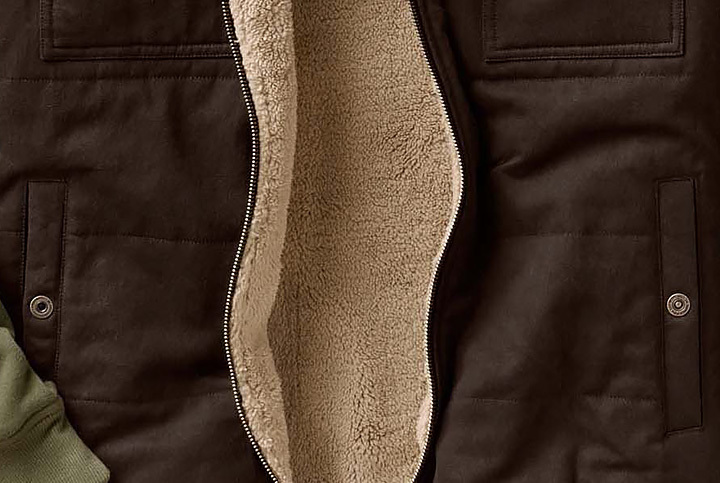 Sherpa fleece lining makes all the difference when you're trying to combat the cold for long stretches of time. 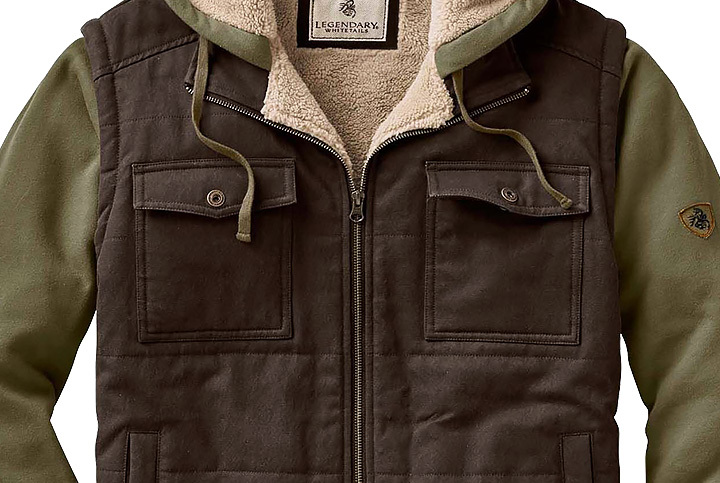 This exclusive jacket combines the awesome look of a heavyweight Sherpa lined hoodie with a quilted waxed cotton vest. 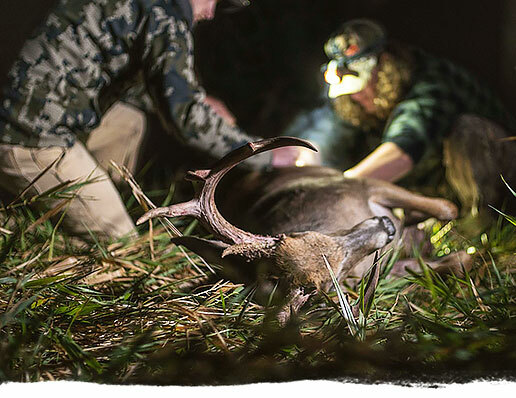 Features Legendary® Signature Buck shoulder patch, ribbed hem and cuffs, and plenty of pockets. Rated 5 out of 5 by Itsjacks from Great Jacket! This jacket was exactly as I expected. The lining was warm and soft. 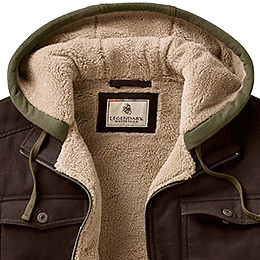 The jacket looks nice wearing out and about and keeps you warm while hunting. Rated 5 out of 5 by Kelly Bural from So Very Pleased With This Jacket ! I received this Wonderful Jacket a week ago on a very cold day. It fits perfect (not too tight) and is very warm. 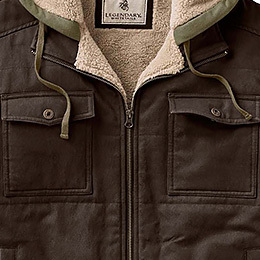 Soft materials make it Very Comfortable to wear and is a Very Attractive Jacket. I would Highly Recommend it to anyone that wants a Good Quality Jacket ! 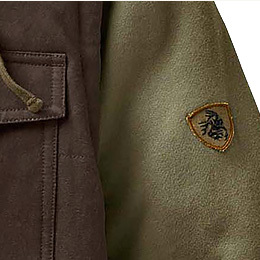 Does the Treeline Jacket have Sherpa lining in the sleeves? It does not; the sleeves are jersey-lined. 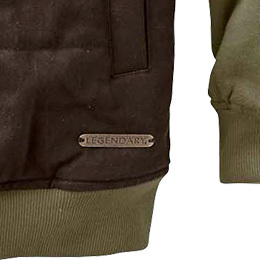 Will this item be back in stock in the Large/LargeXT sizes? 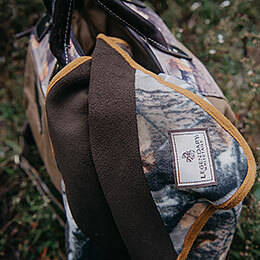 I'm so sorry to say that the Treeline Jacket has been discontinued so we will not be getting any more back in stock. Our tall sizing is designed for men over 6'2&quot;. It adds 1&quot; to the sleeve length and 2&quot; to the body length. Hey guys! 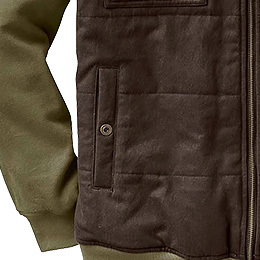 I bought some jackets for my brothers for Christmas and came back for more, but I noticed that you're out of this Treeline Jacket in a Medium. Any idea when you might be getting it back in stock? I was hoping to use my free shipping coupon! 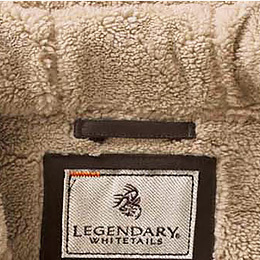 Are the sleves sherpa lined too? This jacket comes in both regular sizing and tall sizing! The tall sizes have a letter &quot;T&quot; at the end of them (LT, XLT, and 2XT). Yes, they are Jersey lined sleeves. How to clean Sherpa inning when it is really dirty??!!! We recommend just the standard washing instructions. Wash cold with like colors. Do not bleach. Tumble dry low. Do not iron on decoration.